In keeping with my series on gentlemens boots I present to you the Paddock! Horse riders of the nineteenth century needed something less cumbersome than the standard riding boot. Bookmakers responded to this need by developing the lace-up Paddock boot. As the name indicates, this lace up ankle-height leather boot was ideal for Victorian gentlemen to wear around the paddock when training horses and seducing the fair maidens riding them. It stand to reason that the Paddock boot descend to us from the English riding tradition. There are other styles of lace-up ankle boots for men. The elegance and lightness of the Paddock set it apart from the other types. The light and durable design of the Paddock boot proved very popular and they became the alternative footwear used with horses instead of the knee-high ‘tall’ riding boots of the time. Tall boots are now usually only worn in very formal riding settings. They are also sometimes appropriate for a gentleman to wear outside of riding, but more of that later. As I am in the warning mood, I would like to take a moment to caution against the use of ankle boots, or any boots for that matter, that make use of side zippers. 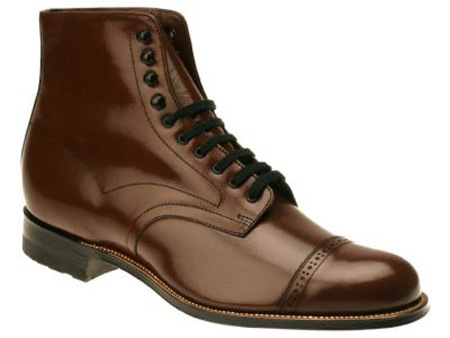 One of the chief statements a quality leather boot makes is that its wearer has taken the time to dress and dress well. convenience is never a gentleman’s consideration, and should never be confused with functionality. Hurrying is not part of a gentleman’s appearance. If you wear zipped boots you might as well wear a belt that fastens with Velcro! A Dandy steers clear of anything that might pull his attire into the realm of costume, and nothing indicates a costume in footwear faster than an unsightly zipper. 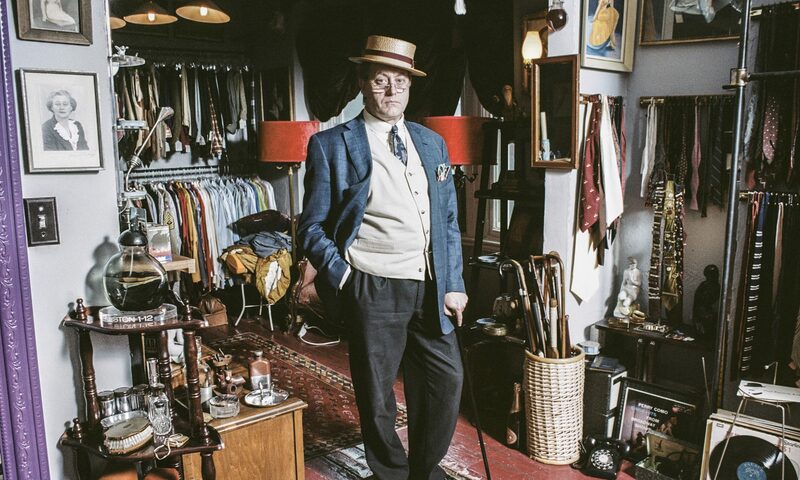 Article first published as Gentlemens Boots – The Paddock on Technorati. I love my paddock boots, du-tone with fawn suede uppers. I’m in total agreement about distrusting zippers. Hate ’em 100%.